The dream combination of delicious fresh fruit, hearts, and rainbows. I have always felt drawn to the bright colours of a rainbow and I thought this would be a great way to make your fruit platter even more special. 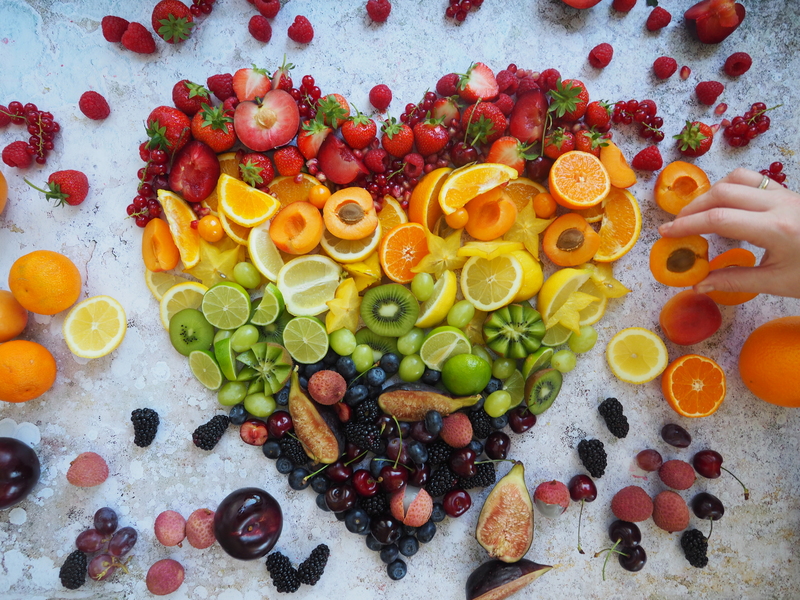 Here’s how to create your own rainbow fresh fruit heart display, enjoy! 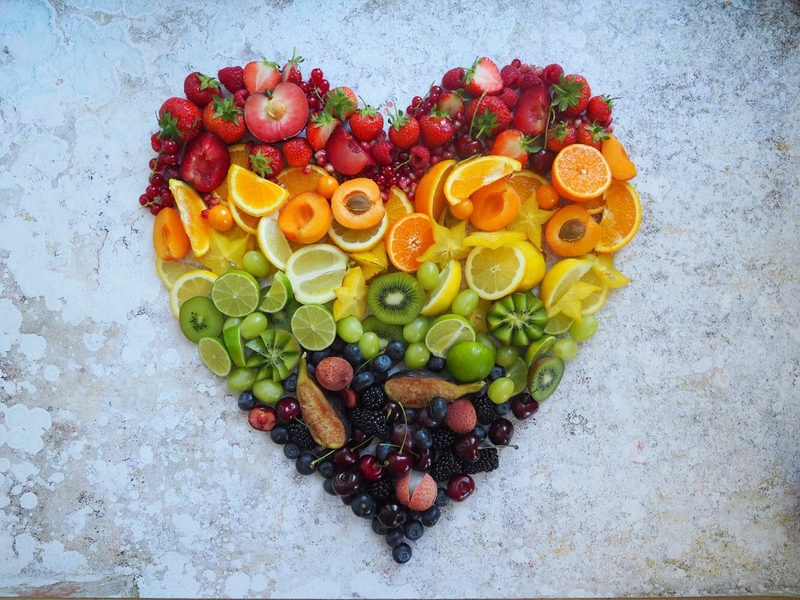 Recreating your own rainbow fruit heart or any other shape you’d like requires just a little bit of time to prepare the fruit but the final result is guaranteed to impress. Below is my step by step guide on how to create your own rainbow fruit display. Red: red grapes raspberries, cherries, red currants, strawberries, pomegranate seeds, plums. Orange: oranges apricots, cape gooseberries or physalis fruit, cantaloupe melon, honeydew melon. Yellow: lemons star fruit, pineapple, canary melon. Green: kiwi green grapes, limes, gooseberries. Blue: black grapes blueberries, blackberries, figs. To create your heart shaped fresh fruit masterpiece, use a board with some parchment paper laid on top. Then, using a pencil, draw an outline of a heart to the size you want (or any shape desired). Then, have all the fruit you want to use at the side, already cut in halves, quarters, star-shaped or even left whole- be as creative as you like with the preparation of your fruits. Slowly start adding your fruit pieces into the heart shape starting at the top working your way down. Going from one colour to the next, layering as you go. Why not try doing a star shape or using vegetables instead? Follow my journey in memory of my incredible mom, Shally. 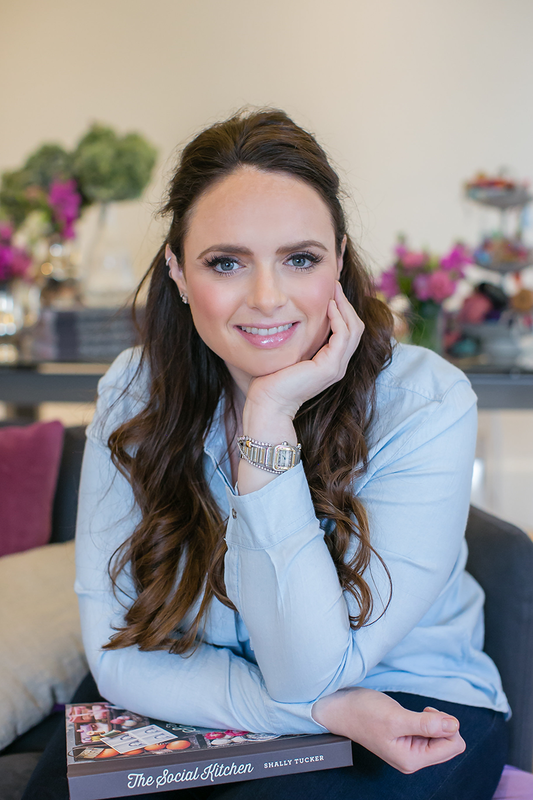 A homage to her cooking, creativity & joie de vivre. Based in London.